TRAINING: New Zealand School of Dance; UNITEC Institute of Technology, New Zealand. 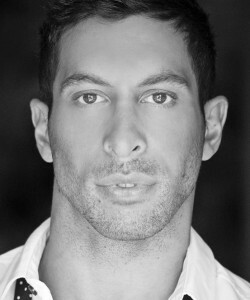 THEATRE: Ensemble then Swing/Dance Captain in the Australia and Shanghai seasons of The Lion King (Disney Theatrical); Dancer in Turandot (Opera Australia); Boris (understudy Vladimir) in Fiddler on the Roof; Swing (understudy Jimmy) in the Australia/NZ/London launch seasons of Priscilla Queen of the Desert the Musical; Ensemble/Dance Captain (understudy Bernardo, Chino, Pepe) in West Side Story (Ambassador Theatre Group); Ensemble in Kismet, (The Production Company); Ensemble in Eat, Pray, Laugh (Barry Humphries Farewell show); Ensemble (understudy Taji and Kingsmen) in King Kong Live on Stage(Global Creatures). TELEVISION: Zayne Robertson in Neighbours (Freemantle Media); Korean Airlines TVC (Koren Airlines); The Rogue Traders at The Logies for Channel 9; Ricki Lee for Australian Idol; Mornings with Kerri-Anne (Priscilla Performance); Eurovision; Dancer in Australia’s Got Talent (Freemantle Media); Talking ‘bout your Generation and Mad as Hell (ABC) hosted by Shaun Micallef. FILM: King Kong (Dancer) Directed by Peter Jackson.